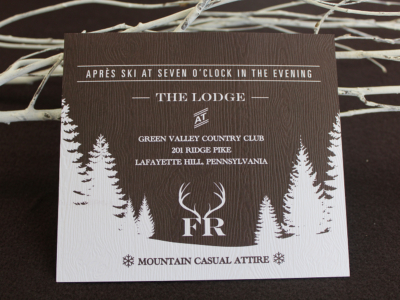 Our clients asked for a unique suite that incorporated a piece of clothing and that was expertly-handcrafted and the event’s “snow lodge/après ski” theme in mind. 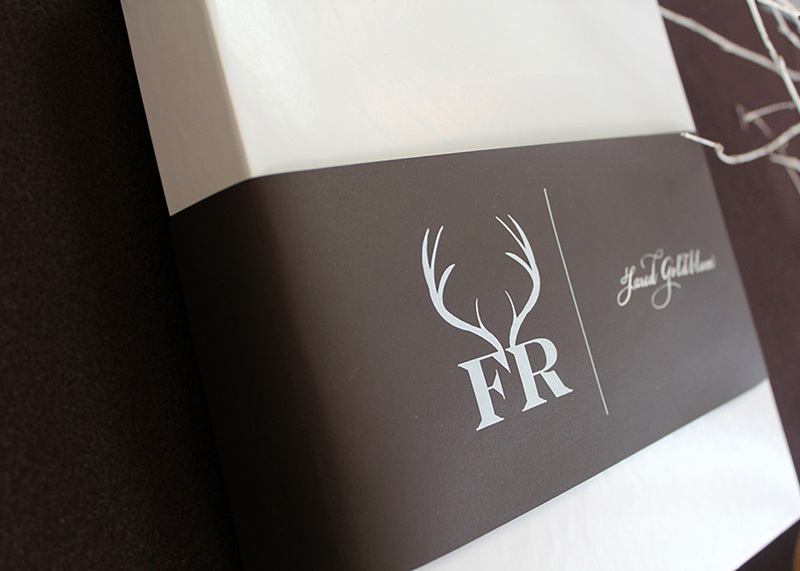 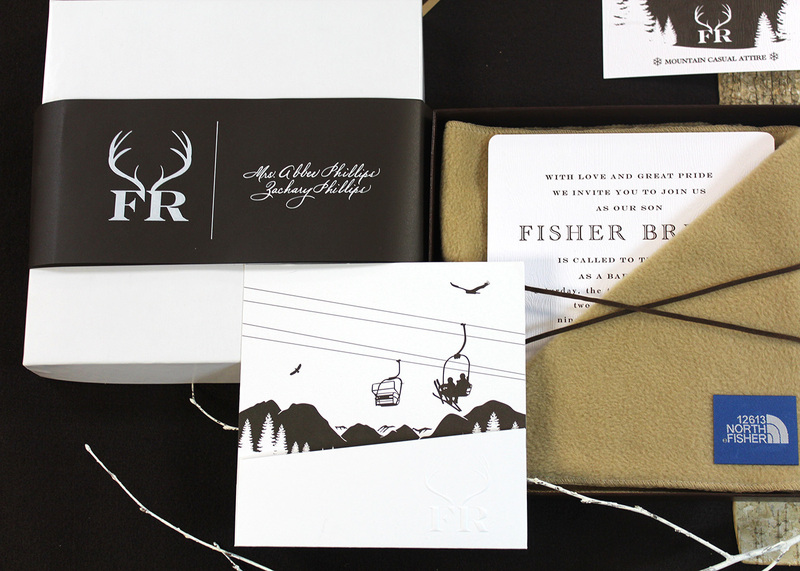 We designed a Fisher monogram (FR) and a “North Fisher” logo, both of which were used throughout the invitation suite— starting with the custom-designed scarf label. 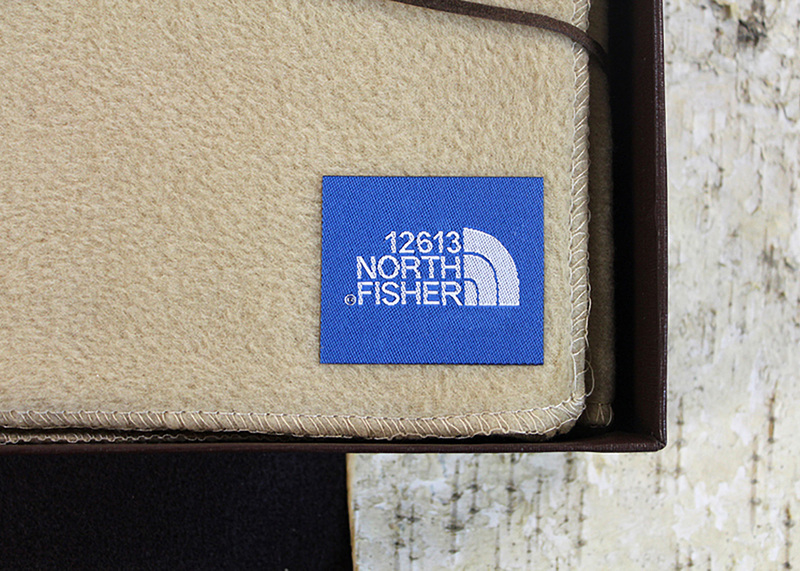 The North Fisher label was hand-applied to a camel scarf, which would serve as a “pocket” for the suite’s letter-pressed, foil-stamped, die-cut, two-color invitation card, which was printed on embossed Barque paper. To house the various custom-designed inserts within this Mitzvah suite, we designed and manufactured a die-cut pocket that featured an angled front with a blind embossed logo. 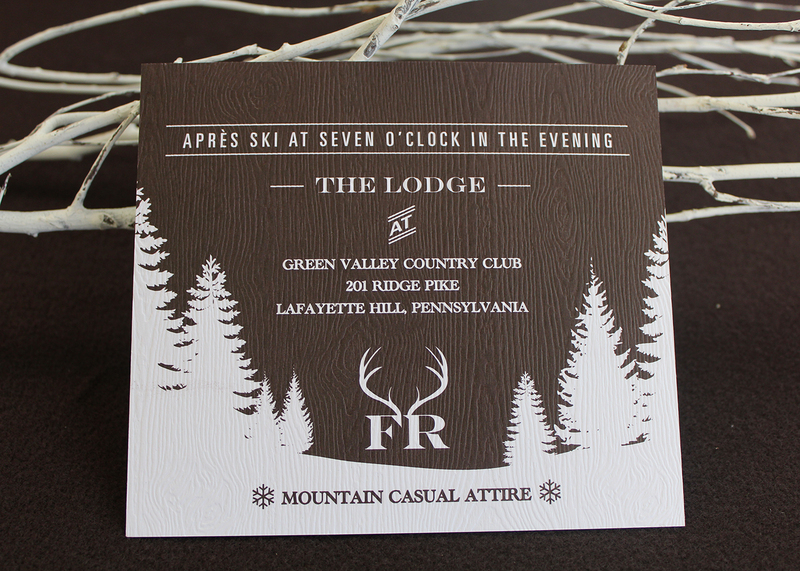 On the inside back of the pocket, LPF illustrated a ski scene, which was revealed once all the inserts were stacked inside—like pieces of a puzzle. 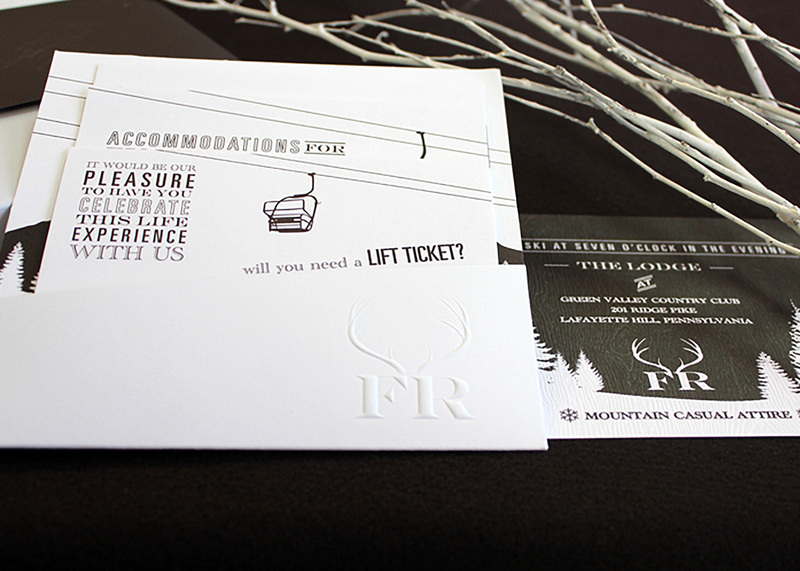 Each of the insert cards was custom-illustrated to feature a portion of the overall ski and snow graphics scene. 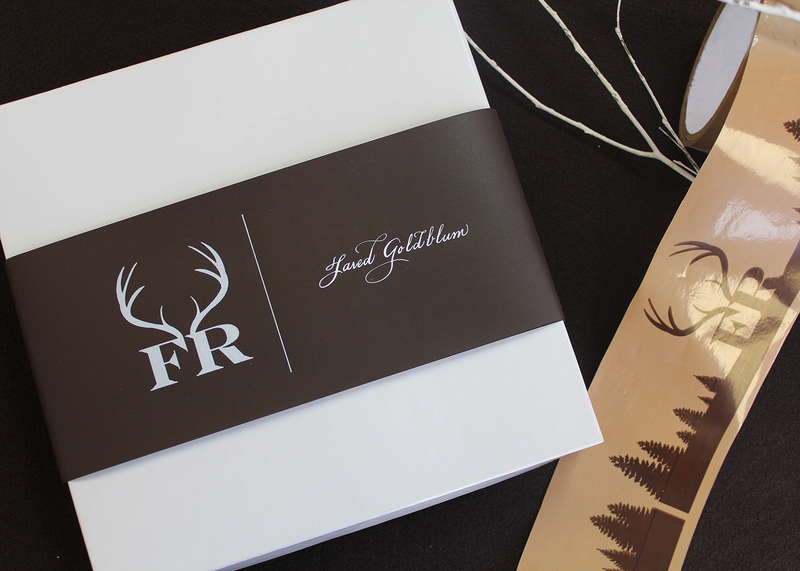 The custom box was then wrapped and tied with a brown suede belly band that featured the FR monogram/logo in white foil stamp, and secured with brown suede ribbon. 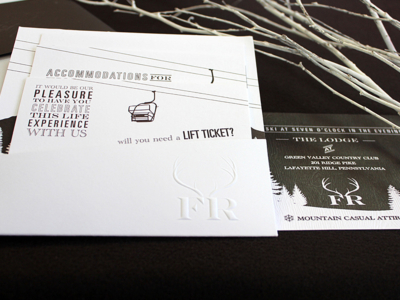 Ask us about this suite!